Mangalore, Sep 20, 2014: A long-pending demand for a dedicated jetty, for tourism and trade between Mangalore and Lakshadweep, will soon be fulfilled with the Cabinet approving the Rs. 50-crore project, said Minister for Ports and Textiles Baburao Chinchansur here on Friday. The 300-metre-long jetty – to be constructed on the northern side of the old port in Bunder – will have facilities for both tourists and traders who will export commodities to the island Union territory. Addressing presspersons, Mr. Chinchansur said the proposal was approved by the Cabinet nearly two weeks ago and the modalities of the project will be worked out within a week. “Construction will start soon,” he replied, when asked about the timeline for the project. He added that Rs. 4.5 crore has been sanctioned for dredging work at the fishing harbours and the minor ports along the district. Overall, Rs. 36.63 crore will be released for dredging work in the three coastal districts this year, said Mr. Chinchansur. The Rs. 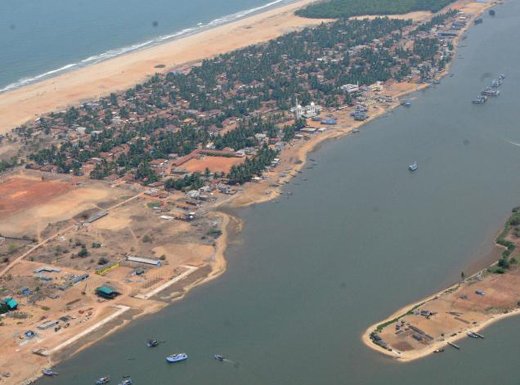 232-crore sea wall project in Ullal will be complete by 2016-end, which marks the extension of the deadline by one year, said the Minister. While construction of four in-shore berms and a breakwater will begin in October, tenders for the construction of two off-shore reefs are in process, said Mr. Chinchansur. Meanwhile, the Minister delved on the minor port policy that will see public-private partnerships in developing ports in the State. He said five private players have come forward to develop ports in Uttara Kannada district: Honnavar port at a cost of Rs. 511.30 crore; Manki Port at Rs. 46 crore; Rs. 600 crore to be spent no a port at Pavinakurve; Belikeri port at Rs. 2,000 crore; and Adani Limited to develop Taradi port at a cost of Rs. 5,000 crore. Though only Karwar has been the focus by private companies, he said the government would encourage private players to develop ports in the Udupi and Dakshina Kannada also. “When set-up, these ports will ensure employment and the development of the coastal districts, while increasing exports from the State,” he said.